Let's Get Everybody on Drugs! Just about everyone is on drugs! These days, if you have a pain, you take a drug for it. If you're depressed, you take a drug for it. If you are overweight, there's a drug to take. If you can't sleep, there is a pill to take. If you have high cholesterol, you take a drug to lower it. If your blood pressure is high, the doctor puts you on drugs. Even when you can't get an erection, you take a drug for it. And, if that's not enough, for the past several years, the use of anti-depressant drugs in preschool children (that's children under the age of 5) has been the fastest growing market for these drugs. 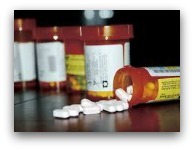 Yes, believe it or not, it is estimated that over 1 million children are on anti-depressant drugs!! And those are just a few of the "reasons" so many people are taking drugs. And, it describes hundreds of millions of people; and that's just the start. Prescription drugs are a multi-hundred BILLION dollar a year business. Let's just get everybody on drugs! Maybe a cholesterol-lowering drug should be put into the water system. Maybe we should put an antidepressant in all common foods. I'm obviously being sarcastic here. It's just that it has gotten out of hand. As an example, the American Heart Association has revised its guidelines on who should be on cholesterol-lowering drugs, which is expected to DOUBLE the number of people on this medication to around 70 MILLION people. And do you know who some of the biggest financial contributors are to the American Heart Association? Well, in addition to Coca Cola (a very "heart healthy" company), the big pharmaceutical companies like Pfizer (the maker of Lipitor, the multi-billion dollar a year cholesterol drug), SmithKline Beecham, and many other huge pharmaceutical companies contribute millions of dollars every year to the AHA. Do you think there might be a conflict of interest and some bias here? Naahhh. Couldn't be. No way! One of the sad things is that, based on the latest research, cholesterol is not even the cause of heart and vascular disease, as we have all been led to believe for the past several decades. There is increasing evidence to indicate that inflammation, not cholesterol, is the cause of cardiovascular disease - in addition to cancer, diabetes, and many other chronic illnesses. The key is to get information for yourself before just blindly and obediently taking a drug for the rest of your life, perhaps unnecessarily (and certainly with some bad long-term side effects, since all drugs have side effects). 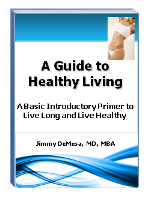 Get this ebook right now to start learning the basic truth about health, longevity, and happiness - without the need for chronic and dangerous drugs. It's only $1.99, and it could improve (or even save) your life!! You can also get a FREE copy by clicking here. How much have heart disease, diabetes, cancer, and depression decreased over the past 50 years? Answer: ZERO … they have all increased! How much money has been spent over the past couple of decades on cholesterol-lowering drugs, low-fat food alternatives, and antidepressants? Answer: Hundreds of BILLIONS of dollars!! How have the low-fat, low cholesterol diets of the past 20 years reduced obesity? Answer: ZERO … obesity and diabetes have risen over the past few decades, are now at epidemic proportions and are projected to double over the next 25 years! So, first, obviously all the low-fat diets and much of the nutritional advice we have been getting for the past several decades is not working. Also, lowering cholesterol by taking cholesterol-lowering drugs is not working to reduce the incidence of heart disease. And, for whatever reason, since cancer is on the rise, whatever we are doing to prevent cancer is not working either. We are experiencing a health crisis and it is only getting worse! There is a good reason why all these diseases are increasing and nothing is working to prevent them. The first reason is that much of the information we have been led to believe - and have taken as "fact" - may not be true (like cholesterol is the cause of heart disease and low-fat diets can help with weight loss). It's similar to the situation where people believed (took as fact) that the earth was flat. That "fact" was as a given truth for centuries, until new information proved it to be wrong. 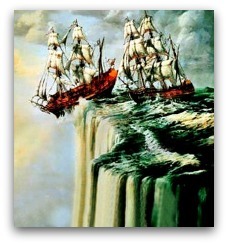 People actually believed that when you got to the end of the earth, you would fall off! We now know that is not true. But people fully believed it for a long time. The same thing may be happening now with these health, nutrition, and disease "facts". New information and better technology is starting to prove much of this wrong. That's why it is critical to get the truth. Learn for yourself what could be making you overweight, sick, tired, depressed, and unhealthy. Get the knowledge you need to stay off prescription medications ... for your entire life.